Remember those generic products of the 1970s and '80s? Fresh out of college back then and still poor, I recall buying them often. I tried to convince myself a few green beans with the stems still on – there seemed to be several in every can – was a reminder that vegetables, after all, do come from farms. Well, it's been a long time since those post-college poverty days, and while I can now afford the national brands it's hard not to be lured by the novel products at Trader Joe's. And the Archer Farms cereals at Target. And if you are counting pennies, what is the taste and quality difference between a block of Kraft cheddar cheese and the Jewel brand (my local grocery)? The rise of private label or store brand products has been chronicled in every medium, especially given the little recession we've been through. But I'm not sure I fully appreciated the art, the careful balancing act, required to make these products until we delved deeply into TreeHouse Foods. As our sixth Processor of the Year – TreeHouse represents the best of what private label manufacturing is capable of. It's a fascinating business story, too. Five guys turned Keebler into a multi-product powerhouse, then left with what undoubtedly were nice buyout packages when Kellogg bought the company for $4.6 billion. What to do with that money? Instead of moving to Naples, Fla., they stayed in chilly Chicago to try building a company one more time, this time from scratch. While branded products were what they were familiar with, they realized even back in 2005 the huge opportunity that lay in private label. A spinoff that followed the acquisition of Dean Foods gave them their opportunity. 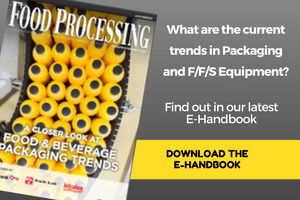 While much of what we write about in Food Processing is devoted to nationally branded food products and the companies that make them, this cover story is a great reminder that running a private label food or beverage business is still running a business; that top-quality private label product development is still top-quality product development; that great food & beverage manufacturing may well be exemplified by the efficient and flexible manufacturing of a private label manufacturer. Two issues ago (October) we carried a story of how Aldi upscaled its store-branded packaging. That same month. Consumer Reports carried what has become an annual "taste-off" between private label and branded products. "Any smart supermarket shopper knows that buying store-brand products instead of big names can save big bucks," the Consumer Reports story began. "In our latest price study, filling a shopping cart with store brands saved us an average of 30 percent." But the CR story was not about price trumping taste. While national brands beat private label 7-3 in taste tests, the bigger point was the other 11 categories were toss-ups. I think a bigger story is the improved score by the national brands. Last year the score was National Brands 6, Store Brands 4, with 19 ties. Nothing motivates a leader to improve, to innovate, like a low-cost follower nipping at your heels. In the end, the bar is raised for the entire industry, and consumers are the real winners. Time will tell if TreeHouse can succeed as the 500-lb. gorilla in the store brand category.